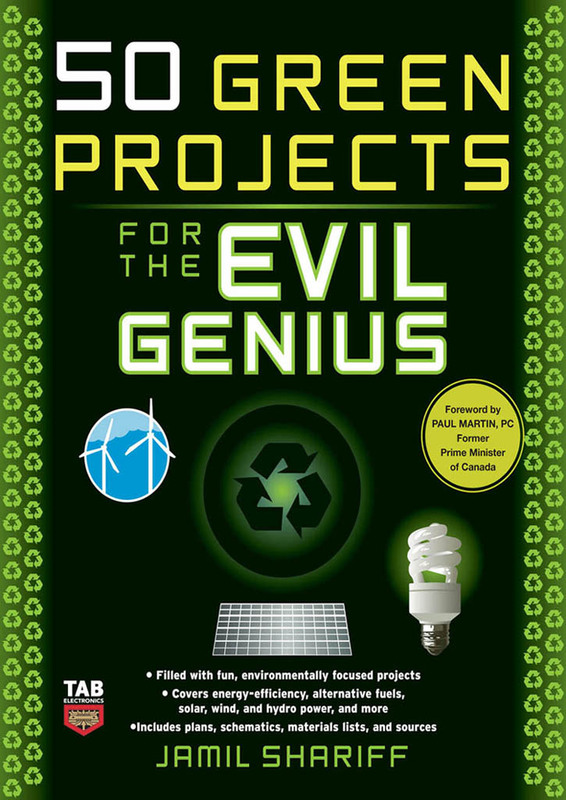 The book 50 Green Projects for the Evil Genius is a detailed, step by step guide on ways to make your life more eco-friendly. The book contains many different Do It Yourself projects ranging from ways to improve your cars fuel efficiency to how to build your own solar water heater and many things in between. 50 Green Projects for the Evil Genius provides you with step by step instructions for how you can make your own environmentally friendly life improvements. The projects allow you to make improvements to your car, and even show you how to create other green methods of transportation. The book also provides many projects to help you make your home as eco-friendly as possible. The book covers subjects like transportation, alternative fuels, solar, wind, and hydro power, home insulation and construction and many more to help you achieve a greener way of life. Each project comes with full instructions on how to design, build and install the creations that can be made to suit your particular needs. Most projects are made out of easy to find parts, and each project lists fully all the parts that will be required to create it. The projects range in complexity, from simple creations like creating a worm compost bin, to more complex projects like creating your own wind turbine. This range helps to make the book of use to anyone, from those wanting easy and quick creations to help make their lives greener in small ways to those who have ambitious green dreams. 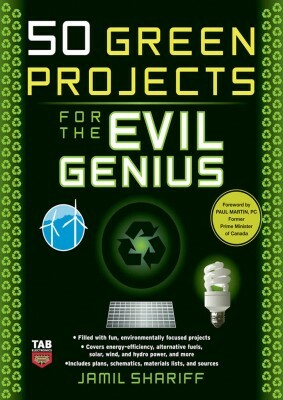 50 Green Projects for the Evil Genius s is a book that is suitable for anyone with a passion for green living. Its detailed instructions and lists make it simple to create these home projects that help to make your life more eco-friendly. The book offers a fun way to get more involved with being greener. The book costs just $16.47 and is eligible for free shipping.